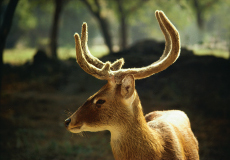 India is one of the finest Wildlife destinations in the world. Remnants of the great jungles,forests and wetlands that once covered the subcontinent, are the game parks which now provide a peaceful retreat from the hustle and bustle of modern life with romantic ruins of palaces, hunting lodges and forts reminding us of the country`s fascinating history. India`s diverse climate and landscapes are reflected in the variety of the country`s habitats. Contrast the Himalayas & North with the semi arid plains of Rajasthan or Central India or the jungles of Southern India. 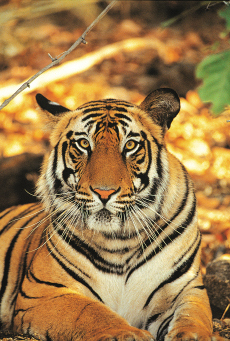 The Tiger is high on most visitors wish lists but there are other mammals, reptiles, innumerable birds to spot, as well as a fascinating array of flora. The experience is very different to the `safaris` of Africa. The animals are far more elusive ! The wonder of finding pristine natural environments and the experience of spotting game from an elephant, cycle rickshaw or a jeep adds to the pleasure, combined with the beauty of the parks at sunrise or sunset make wildlife viewing in India a highly rewarding and enjoyable experience.